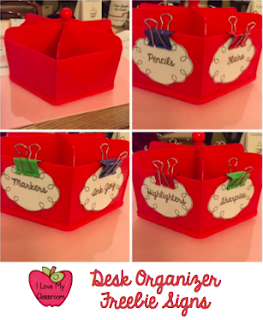 I found the last red plastic spinner in the dollar spot in Target a couple of weeks ago and decided to turn it into a pen catcher on my school desk, keeping everything sorted. This replaced 4 mugs with sorted pens... I attached the little signs to the edges using binder clips at home, because my glue gun was at school.... guess what? It's been sitting on my desk for days now and I never used the glue. I did push back the inner metal hinge of the binder clip before filling with my markers, but I realized that for me, I want to be able to change this out when needed. I may grow tired of these signs and change to something else...doubt it, but it may happen... Anyhow, it's working for me and I wanted to share the tags if you need something like this too. 2 versions, both the perfect size for a little container. Hope it helps! We've been working on adding fractions this past week, and since I need to make fractions fun or else I was going to scream, we used our circle fraction manipulatives to make quick little snowman pictures. Some kids' pictures were simple, while others were more advanced (and then we introduced adding unlike fractions). 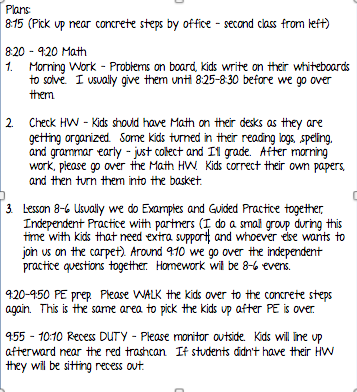 All in all, it took 15 - 20 minutes of our day but they were able to have some fun with fractions. 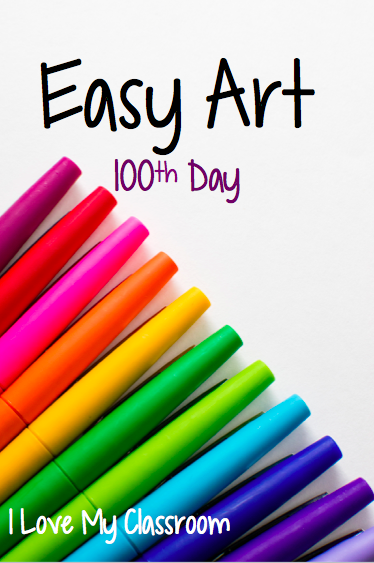 100 days of school... Looking back over the past months, time seems to have flown by. Of course I don't realize how fast they've flown until the 100th day milestone approaches. 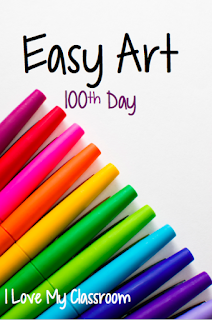 When I taught primary it was a big deal on the 100th day. We had a special home project, we spent the entire day working with the number 100 in math, science, writing... With my big kids though, we have so many other things that we are in the middle of that usually we can't spend the entire day stepping away from our novel, math lesson, science lesson, but it's still important for me to recognize 100 days together. Morning Work - Quick Write "What would you do with $100?" I was pleasantly surprised to hear how many of the kids would save their money or give it to charity. We always get together with our buddies on Friday mornings, so we spend the time together getting to help them with their 100th day activities. I printed out the number 100 on a piece of copy paper, and fit it 2 per page. 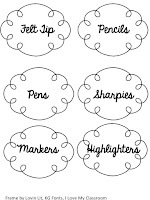 I used to sit for an entire prep period using the di cut machine in the library, but this is honestly faster and the kids are capable of bubble cutting out their numbers. From there they take the numbers and view them as shapes, creating pictures of anything they wish (as long as it's school appropriate - haha). I did bring in donut holes for the kids as well... because donut holes are always fun! 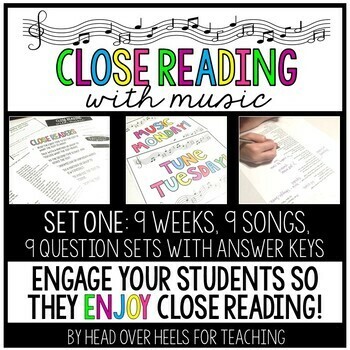 Music for Close Reading? Yes, Please! 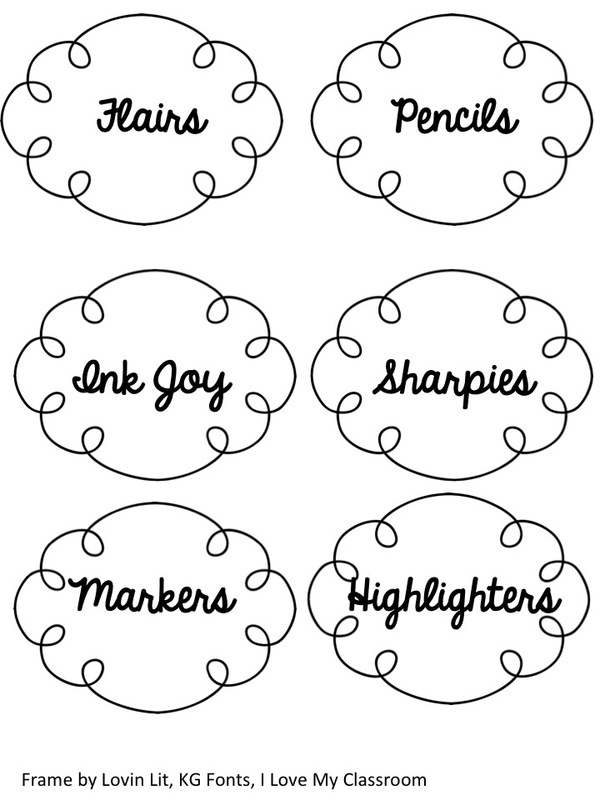 I picked up a very engaging pack the other day from my Blogging Bud Joanne Miller, (Head Over Heels for Teaching). She has put together a playlist that the kids absolutely love. The students can listen to the music through the safe share websites, read the lyrics, and answer the discussion questions. I'm so excited about the rest of these songs! The kids kept asking me if they could listen to it over and over. Do you use music in your classroom? We have been working on dialogue a lot lately. The district writing sample is quickly approaching and I KNOW these kids are going to need to write a narrative that includes dialogue... and right now they aren't all there yet. 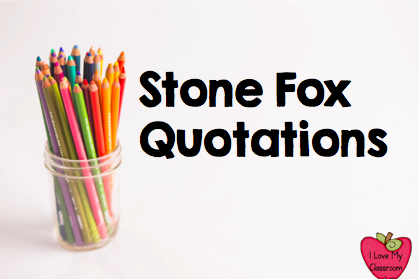 We finished up Stone Fox last week, and their final writing activity included making up 7 interview questions that they would ask Little Willy after he won the race. They weren't allowed to be "Yes/No" questions, there had to be some depth to the questions. That alone was a big deal. After they created 7 questions they got to have some fun. They had to go and interview Little Willy. All 32 of the kids in the class had to think like Little Willy and if they were asked a question they had to respond as him. Each person had to ask 7 different people their questions, and had to record their responses directly onto their papers. My little news reporters! Then we had a little art project. They had to transfer 3 questions with 3 responses onto a piece of construction paper into 3 dialogue bubbles. They had to write their questions (remembering question marks), and the responses had to include quotation marks, the speaker, and proper punctuation. Oh my goodness! We still have so much to work on... but at least it was a fun activity and they were all motivated to do their best. How do you practice dialogue? We have had so much fun with fractions! 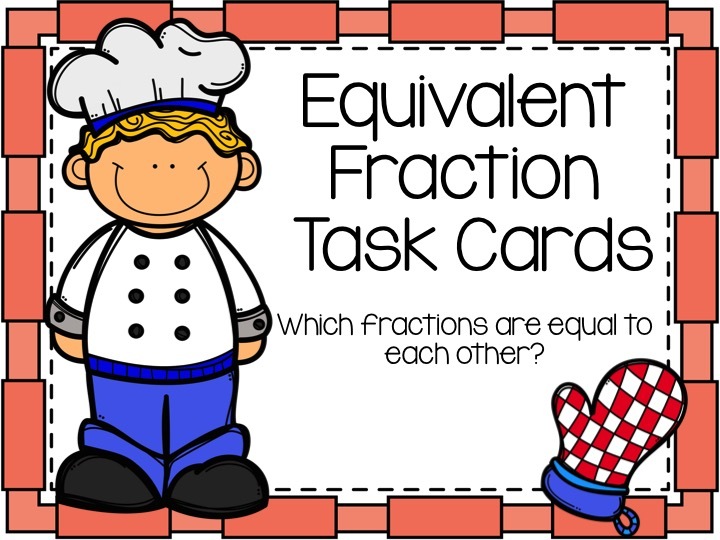 Wanted to share the link with you in case you need some more fraction activities to add to your arsenal. 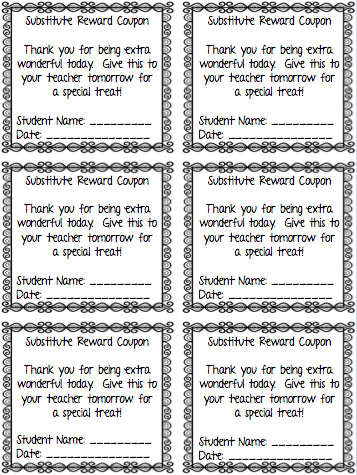 5 real life cookie ingredient lists are included for students to use as the basis of modifying recipe amounts. There is sure to be a favorite type of cookie between peanut butter, sugar, chocolate chip, snickerdoodle, and oatmeal raisin. 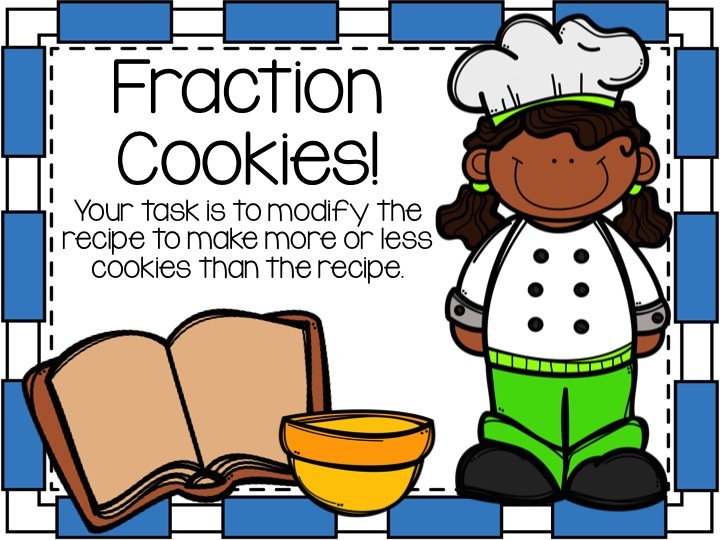 Each type of cookie includes a recipe card, student answer sheet with 3 ways to modify the fractions, and an answer sheet. 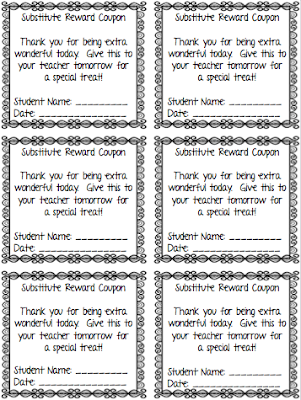 I used this by dividing students into 5 teams (one per cookie) and their team was responsible for completing all 3 versions of their recipe card. We rotated through to all 5 throughout the week. 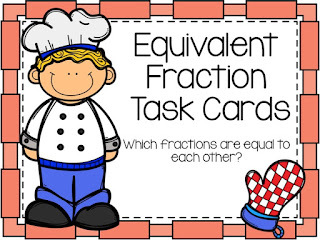 20 equivalent fractions cards are included using multiple choice answers. A student answer sheet and answer key are also provided. 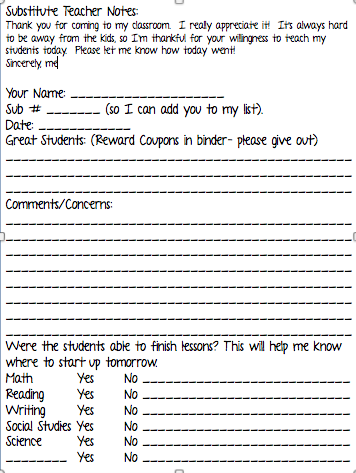 I used this in my classroom for students to play a scoot game and roam the classroom answering cards to review. There are 32 labeled bowls for students to match up with equivalent fractions. 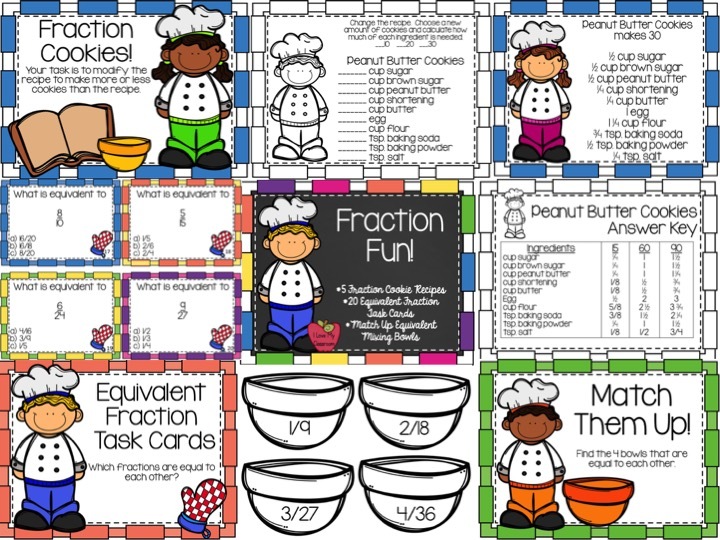 I used this in my classroom by giving each of my 32 students a fraction bowl and they had to find the other 3 people (4 people total) that had equivalent fractions to theirs. 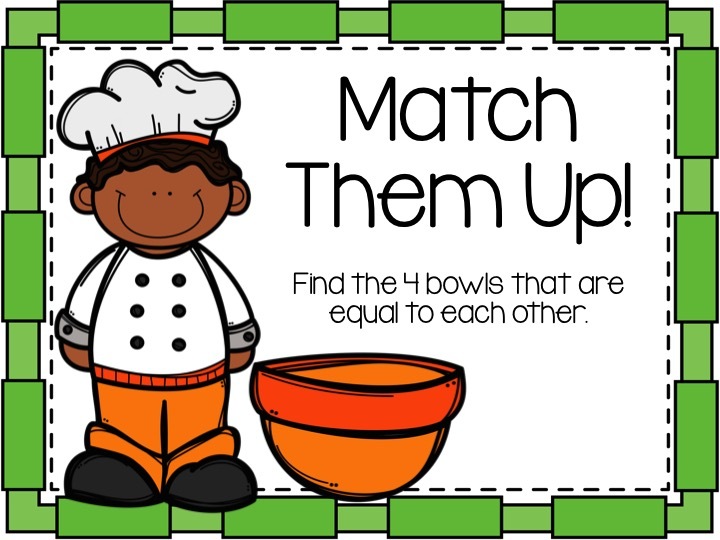 When one round was completed, I collected the bowls, mixed them up, and passed them out again for students to find different partners. These were then put in a center for students to match all 32 bowls with the correct groups. 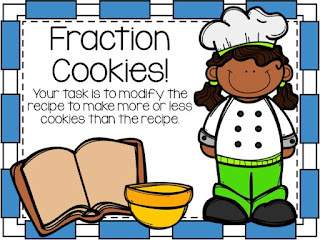 It's all about making fractions relevant to my students. Mission accomplished! It was time to have my students create new goals for winter, so this year I had them create Star Goals. 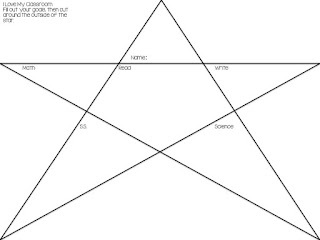 They chose to either create their stars either horizontal or vertical, and they just made them huge on a piece of copy paper. 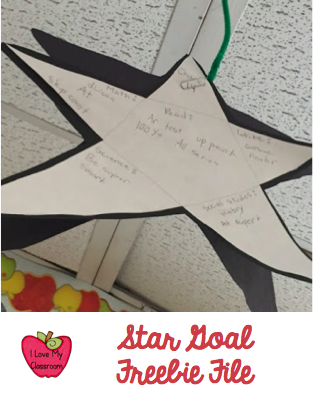 Each of the 6 sections contain their name, a math goal, reading goal, writing, social studies, and science goals. I have them hung from the ceiling back to back from our pipe cleaners and paper clips. 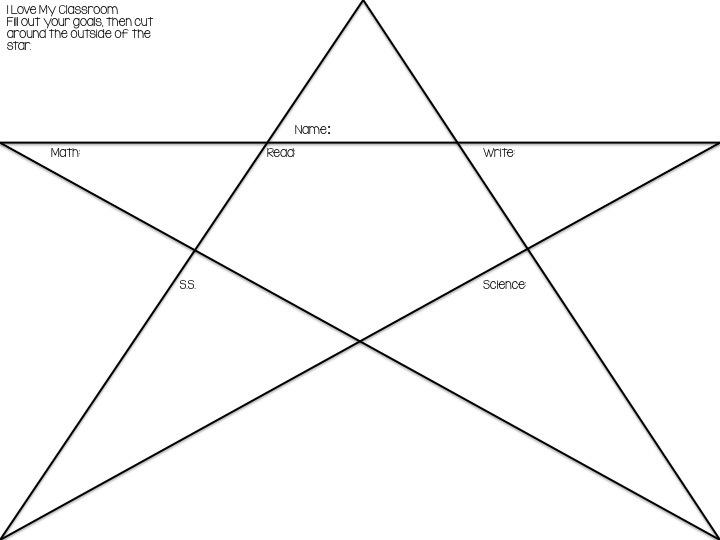 I also created a version on powerpoint that might help you. Grab it from Google Docs if you want. :) I hope it help you! 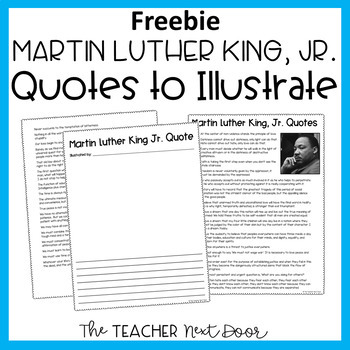 Last Friday my students celebrated Martin Luther King Jr.
and used this freebie from The Teacher Next Door to illustrate a quote from Martin. 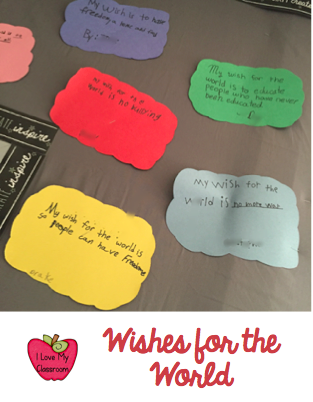 We then took construction paper and brainstormed their own wishes for the world... those wishes and dreams that would help everyone on the planet. Love how the bulletin board came out! Great reminders that everyone can make a difference. That week right after break we had our Snow Day party at school. I've done it for a couple of years, so you might have seen other posts about it. This year it was simplified since I was still functioning at 60% after the bout with Bronchitis and we were catching up after 3 days of subs. Each student had a piece of scratch paper, they wrote a simple multiplication fact in the center of the paper, then crumpled it up. On the count of 3 they all threw the paper balls, and then grabbed one off the ground. They had to answer the math problem, sign their initial, and then write another math problem on the paper. They then crumpled it up again, threw it again, and it continued again and again... SO MUCH FUN! Lots of giggles and my teacher heart was happy! The big deal was making sure the kids knew how unique snowflakes are. In past years I've passed out the copy paper for students to make their own snowflake, or passed out a dicut that students add glue and glitter to... but this year I needed to simplify it... so we used coffee filters. Here's the google doc. if you want the student paper. 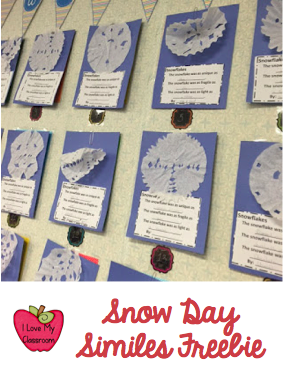 Do you celebrate snow in your classroom? 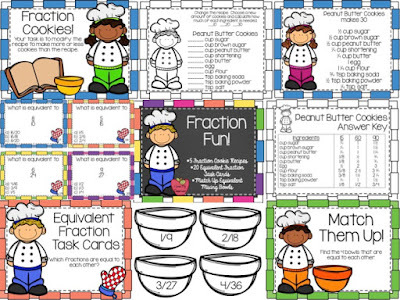 My kids need a little extra help with identifying equivalent fractions, so I made these 6 sheets tonight. 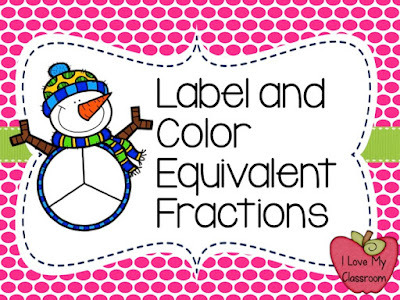 Students need to color equivalent fractions using the fraction circles in the snowmans' tummies. 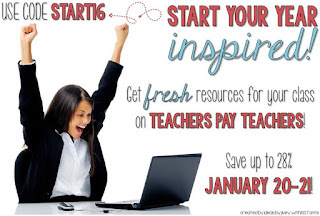 Something fun and FREE during this stressful unit. :) I personally printed them 6 sheets per page to save copies. Hopefully it helps someone! Sub Plan Templates... Making Writing Sub Plans a Piece of Cake! This week I've been out sick with bronchitis. It stinks being sick! It stinks only being able to walk about 10 steps before I want to collapse, when I cough so much that I can't catch my breath. 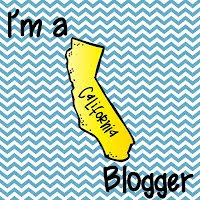 I'm one that is never sick, so this really really stinks! With that being said, I know you can relate to making sub plans when you are ill... 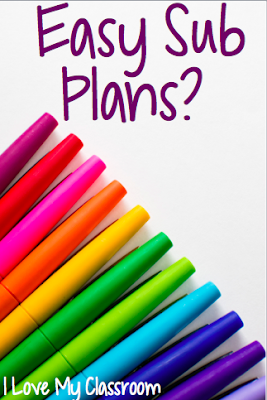 This year I'm so glad that I have a lesson plan template ready to go to make sub plans easy as pie. I took some screen shots of how mine looks. 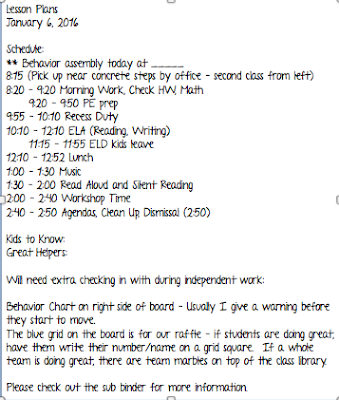 *My first page has the general schedule, kids to know, a reference to the sub binder, and behavior information. 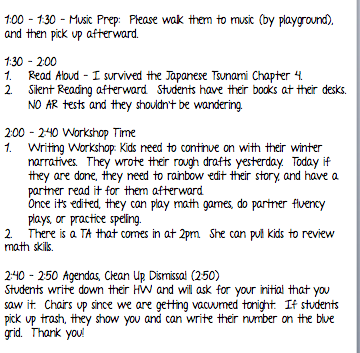 My Math page has the basic information about how the day is run. I learned a long time ago that I can't worry that the day isn't going to be exactly like how I would do stuff because it won't be. It can't be... but I like to give the sub an idea of our normal routine. 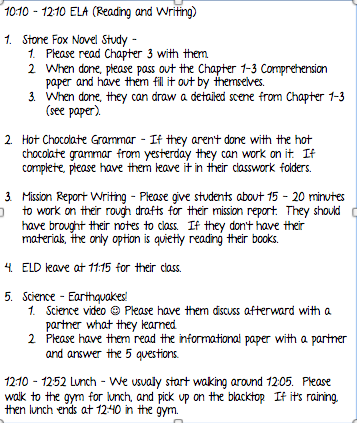 My ELA/Writing/Science/SS page is filled with the middle portion of our day. 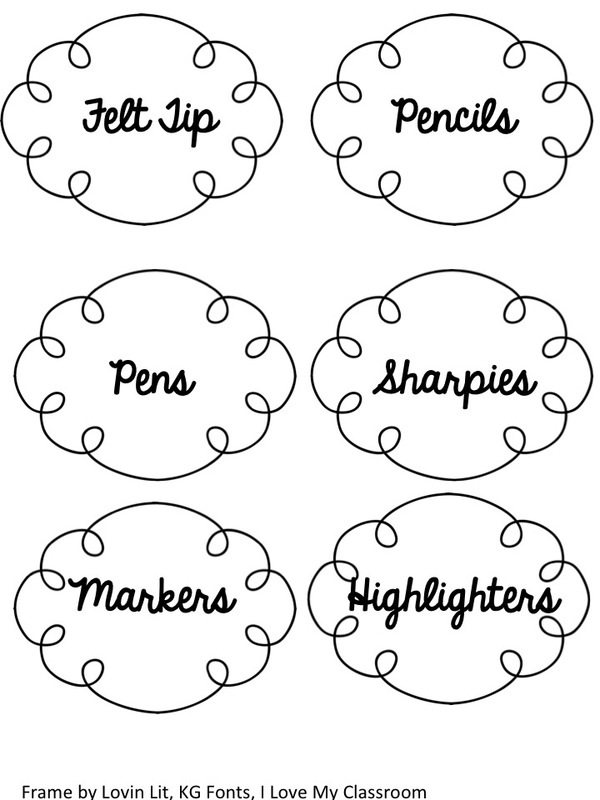 I like to write a checklist (unless I'm explaining the routines). The times I write in full paragraphs it seems that more things are forgotten/not noticed - perhaps the substitutes that have visited my class just need a list format? The next page has our afternoon. 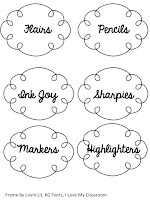 Once again I try to tell the routines, but I also have much more detail in my sub binder. 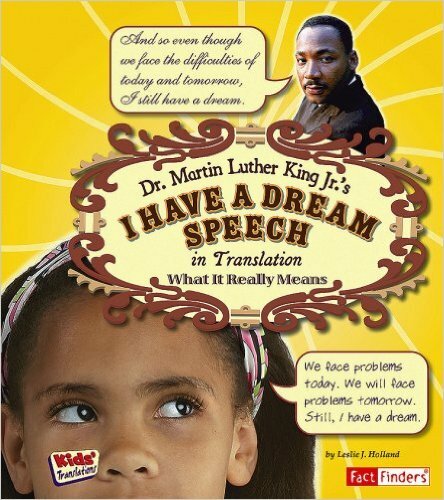 This year I added this into the actual lesson plans (instead of having a separate document). I like how it's just a print away from being done, and I like how it asks exactly what I want to know. I hope your transition back to the classroom has been extra easy... hopefully soon I'll see my kiddos too! Have you shopped at Bando? It's an addicting little shop! It was all about poop that week before break... Snowman and Reindeer that is! Our school has a Holiday Shop where kids can bring in money and buy gifts for their family members. In addition to the mugs and jewelry, teachers and grade levels are allowed to sell candy (basically the one time this happens during the year), so my team hopped to it trying to raise extra funds for our upcoming field trip. My contribution were these poop bags. I made 200 of them and they sold out within a couple of days... $200 coming straight to our grade level just from poop! The Reindeer Poop were scoops of chocolate covered raisins, and the Snowman Poop were scoops of mini marshmallows with a tablespoon or two of those mini pastel mints sprinkled inside. Size wise I used snack size ziplock bags with the cute labels stapled over the top. We also sold Elf Vitamins (Skittles), and Candy Cane "Build your own Reindeer" kits. Are you allowed to sell anything in your Holiday Shop?